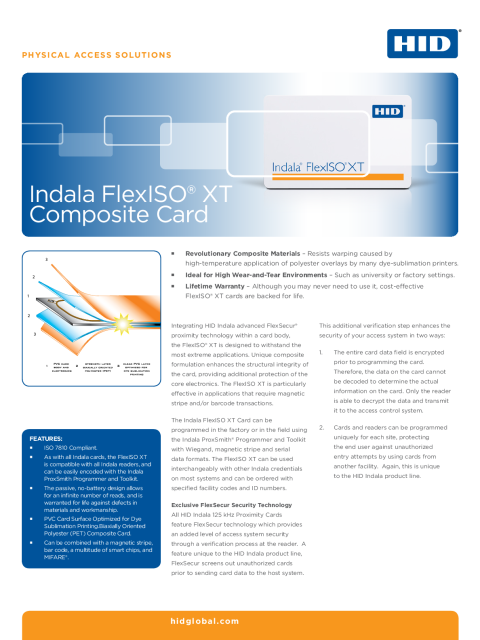 FlexISO® XT integrates Indala brand breakthrough FlexSecur® proximity technology within a card body designed to withstand the most extreme applications. Unique composite formulation enhances the structural integrity of the card, providing additional protection of the core electronics. The FlexISO XT is particularly effective in applications that require magnetic stripe and/or barcode transactions. The Indala FlexISO XT Card can be programmed in the factory or in the ?eld using the Indala ProxSmith® Programmer and Toolkit with Wiegand, magnetic stripe and serial data formats. The FlexISO XT can be used interchangeably with other Indala credentials on most systems and can be ordered with specified facility codes and ID numbers. 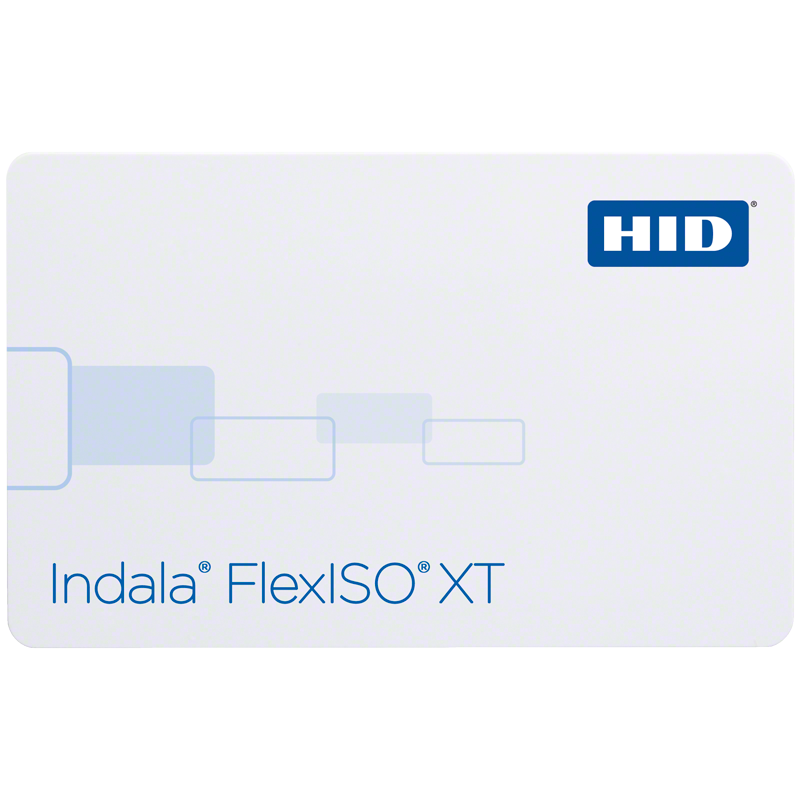 All HID Indala 125 kHz Proximity Cards feature FlexSecur technology, which provides an added level of access system security through a verification process at the reader. Solely an HID Indala-brand feature, FlexSecur® screens out unauthorized cards prior to sending card data to the host system. Revolutionary Composite Materials - Resists warping caused by high-temperature application of polyester overlays by many dye-sublimation printers. Ideal for High Wear-and-Tear Environments - Such as university or factory settings. Lifetime Warranty - Although you may never need to use it, cost-effective FlexISO XT cards are backed for life. Can be combined with a magnetic stripe, bar code, a multitude of smart chips, and MIFARE.